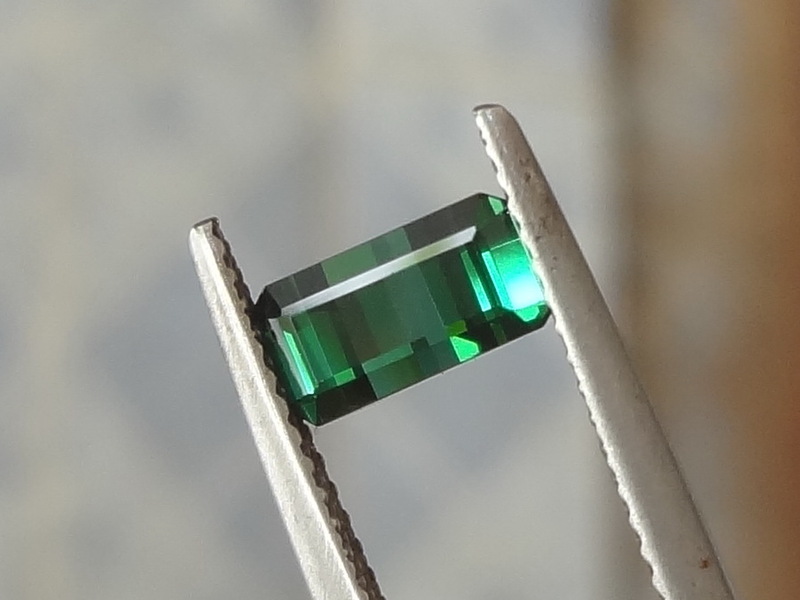 Very interesting stone for a jewellery designer this green Tourmaline will make an elegant piece of jewel. 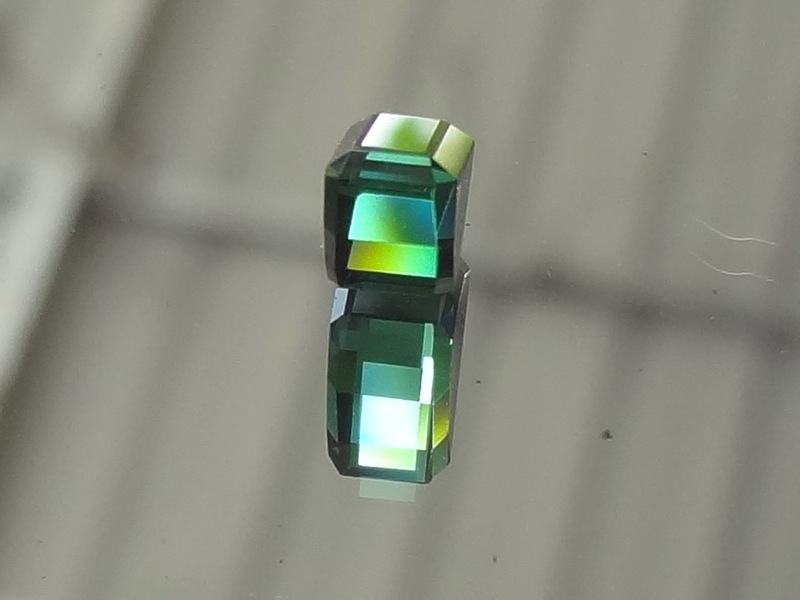 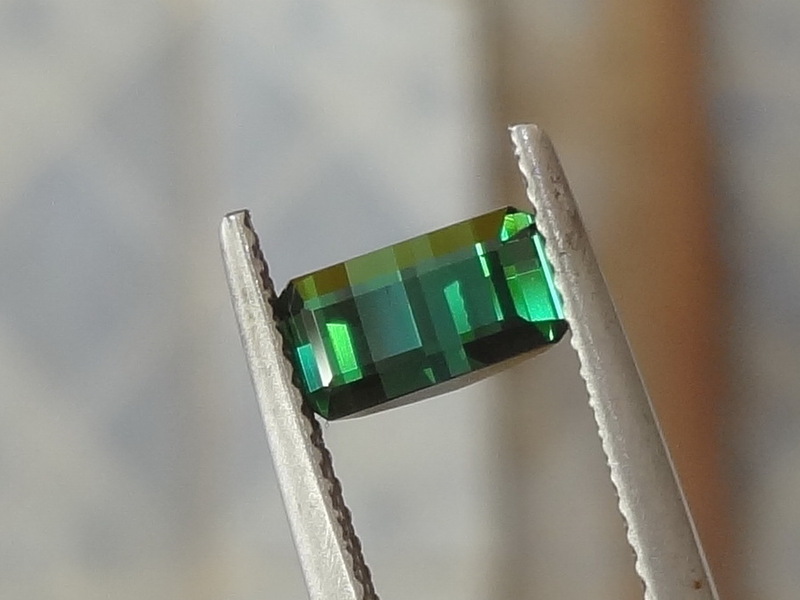 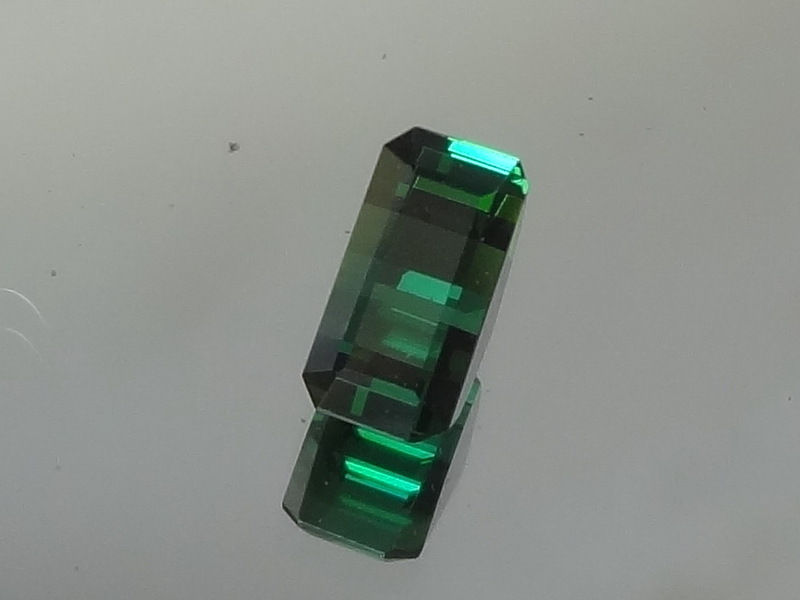 Cut in the traditional Tourmaline style with perpendicular pavilion, it has the great Heineken green that Chrome Tourmaline are famous for; it is truly an atypical Tourmaline for artists, aficionados or collectors. 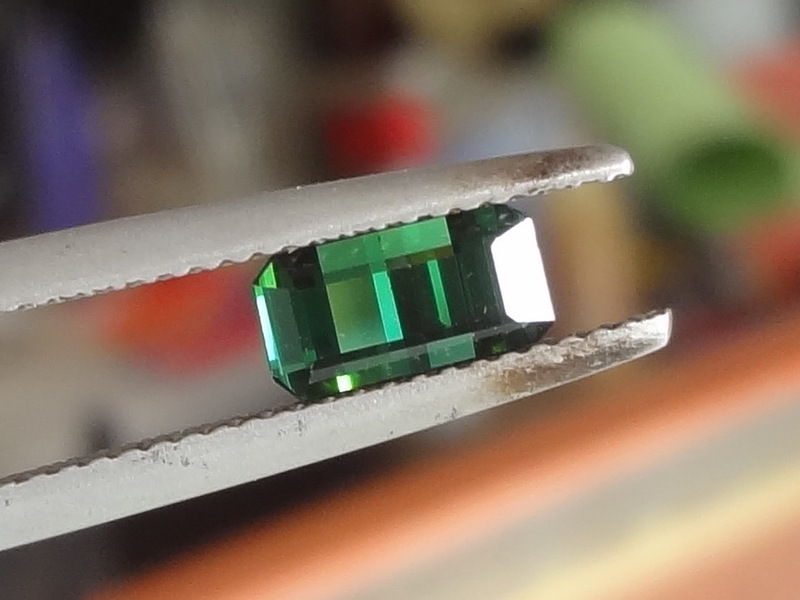 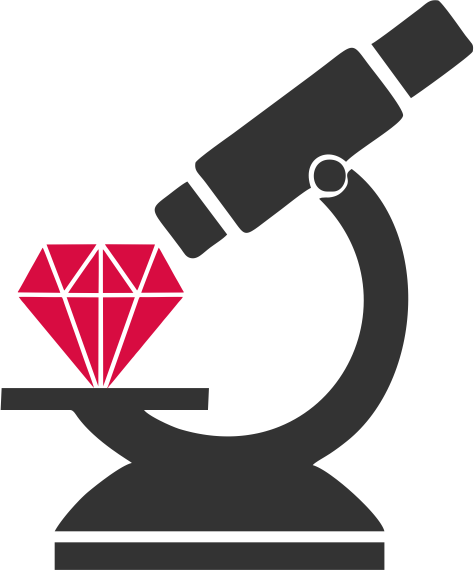 Apologies for eventual grains of dust, this stone is actually perfectly clean.